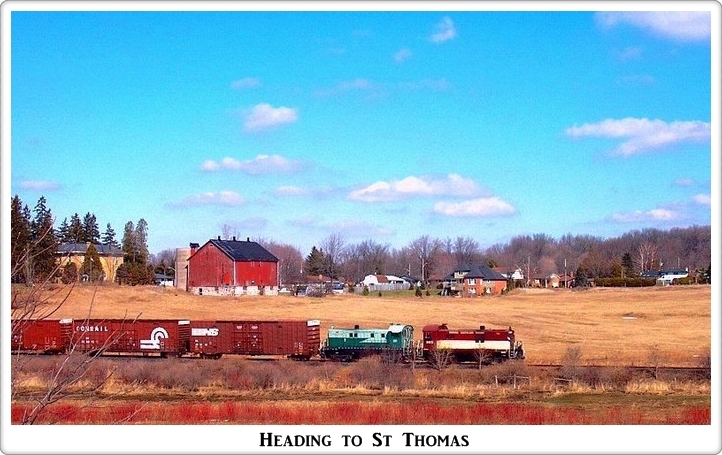 OSR took over the St. Thomas sub on Dec 14th from Canadian Pacific and now service the 32 miles of track from Woodstock to St Thomas. Ontario Southland has installed 9500 new ties and 4000 used ties since summer of 2010. The jointed rail is also being upgraded by thermo welding three sections into one to eliminate the number of joints on the line.